On Thursday afternoon, WWE broke the massive news regarding Roman Reigns' return to the company this coming Monday night on Raw. Reigns, who has been diagnosed with leukaemia, will be making his first return to the WWE since October. However, not only will Reigns be returning to Raw this coming week but he has also been confirmed for his next big public appearance as well. After having captured the WWE Universal Championship from Brock Lesnar at last year's SummerSlam pay-per-view, Roman Reigns, unfortunately, had to relinquish his newly won World Championship on the 22nd of October, 2018 due to him being diagnosed with leukemia. 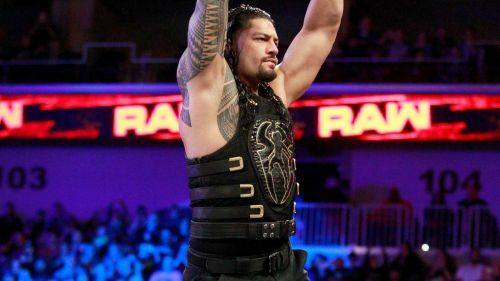 However, since then, Reigns has been making several public appearances and has also been seemingly training hard in the gym as well and on next week's episode of Monday Night Raw, 'The Big Dog' will finally return to address his current health status. Roman Reigns is all set to make his return to Raw next week and will be addressing his health status regarding his battle with leukemia. However, that isn't the only thing Reigns will be discussing, as the very next morning, the former WWE Champion will be making a special appearance on Good Morning America. As per confirmed on social media by GMA, Reigns will be a part of Tuesday's edition of ABC's GMA where he is likely to answer all the questions in-depth, in what truly promises to be another exciting public appearance. As of right now, we are not entirely sure what Roman Reigns has in store for the entire WWE Universe this coming Monday night. However, we do hope for the best and hope that Reigns delivers some positive news regarding his battle with leukemia. With WrestleMania 35 being just two months away, it is pretty likely that Reigns will get a huge pop on his return this Monday.